This Power Brake Conversion Kit for Early Broncos w/Front Disc Brakes requires no fender modification. TBP's exclusive Power Brake Conversion Kit uses a custom power brake bracket that clears the fender well without modification. This power brake vacuum booster is a New 8" Dual Diaphragm 1400psi Power Brake Booster. 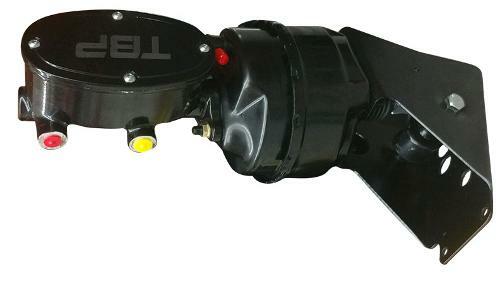 We feel this is hands down the best power brake booster conversion on the market. 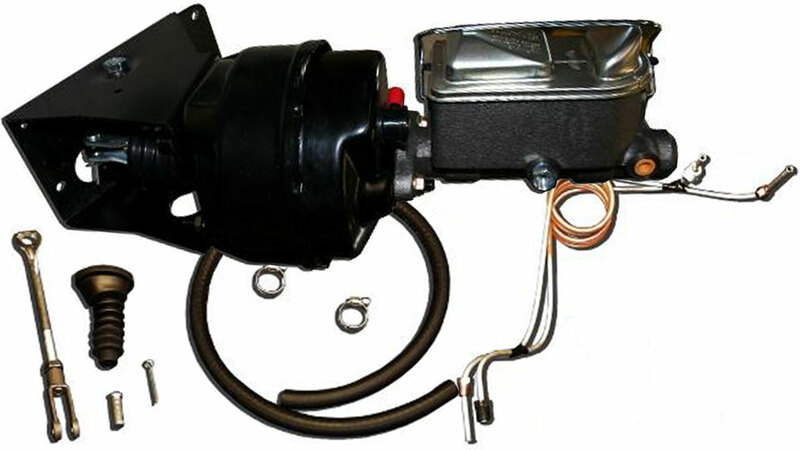 Conversion kit includes a new push rod, bracket, booster, master cylinder and brake lines. When I rebuilt my '68 a few years ago I installed the Tom's front disc conversion kit. After putting a few thousand miles on the rig and towing a few loads of stuff on my trailer it was clear that a bit more braking power was needed. I spent yesterday afternoon installing the No Modify Power Brake Kit. The installation was pretty painless and the results are great! I took it out for a test drive on my usual shake-down loop, it is like driving a different vehicle now, all my old braking/downshift points are way too early. Overall, a very nice upgrade that I should have done sooner. This is the best "bang for your buck" upgrade I have done. This was the first major upgrade I did to my 72 Bronco and the difference between the stock manual brakes and these power brakes is night and day! Thanks Tom's for another great product!